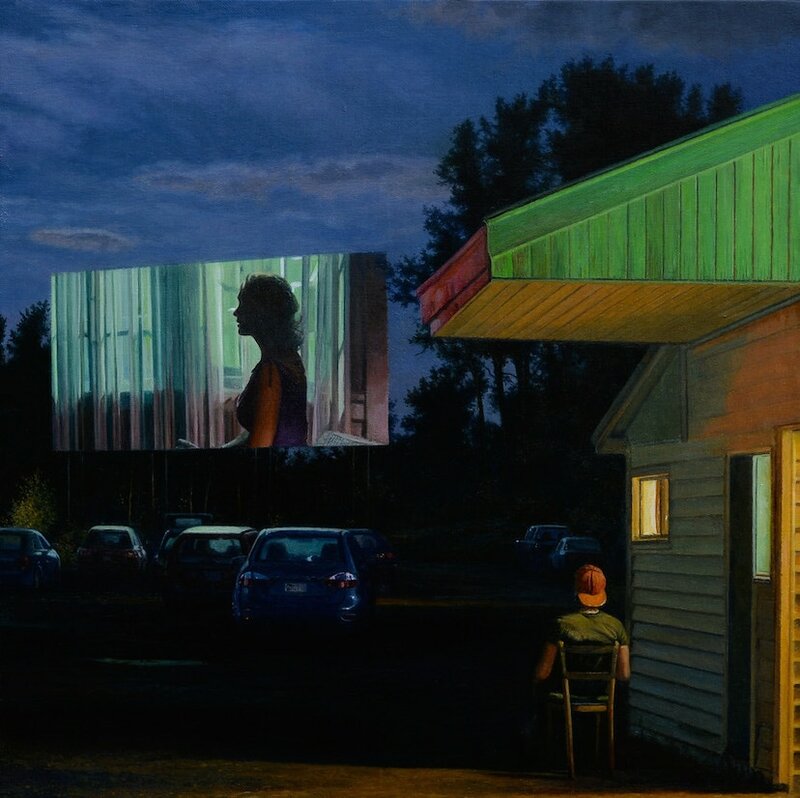 Fascinated by the play of light within the nighttime landscape ever since he was a young boy, Stephen Fox has taken that interest and translated it into a career of painting. 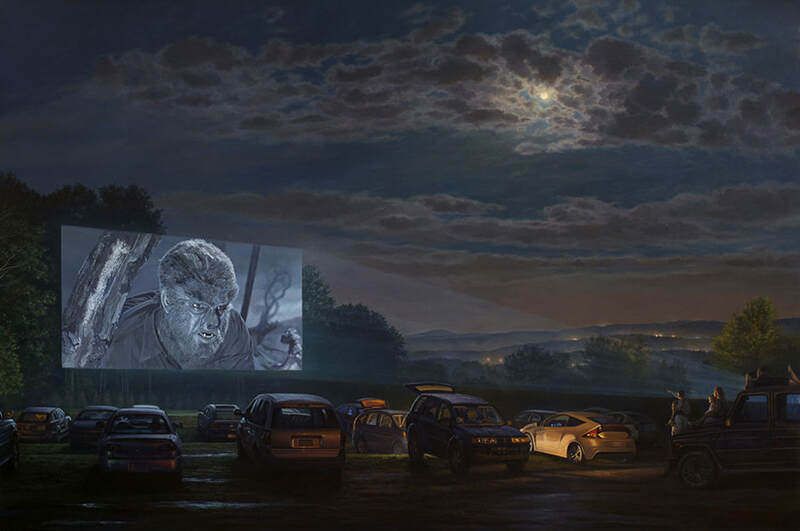 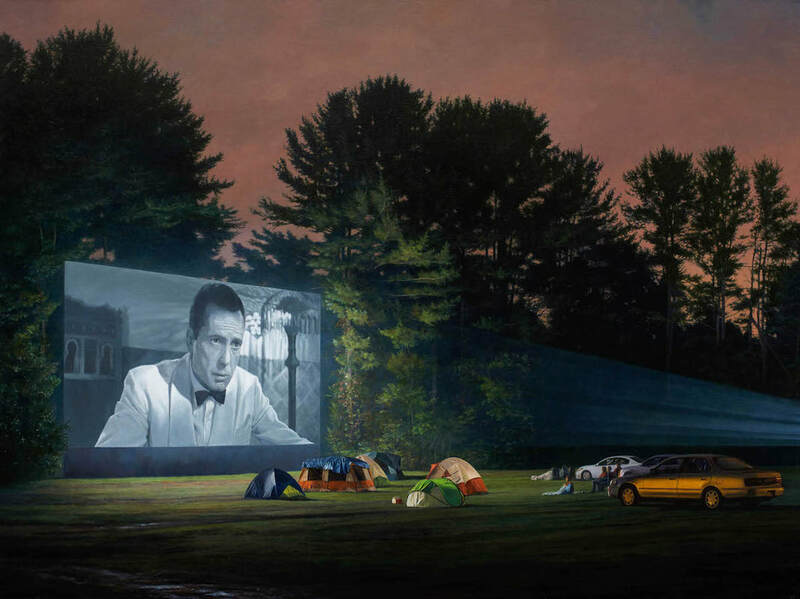 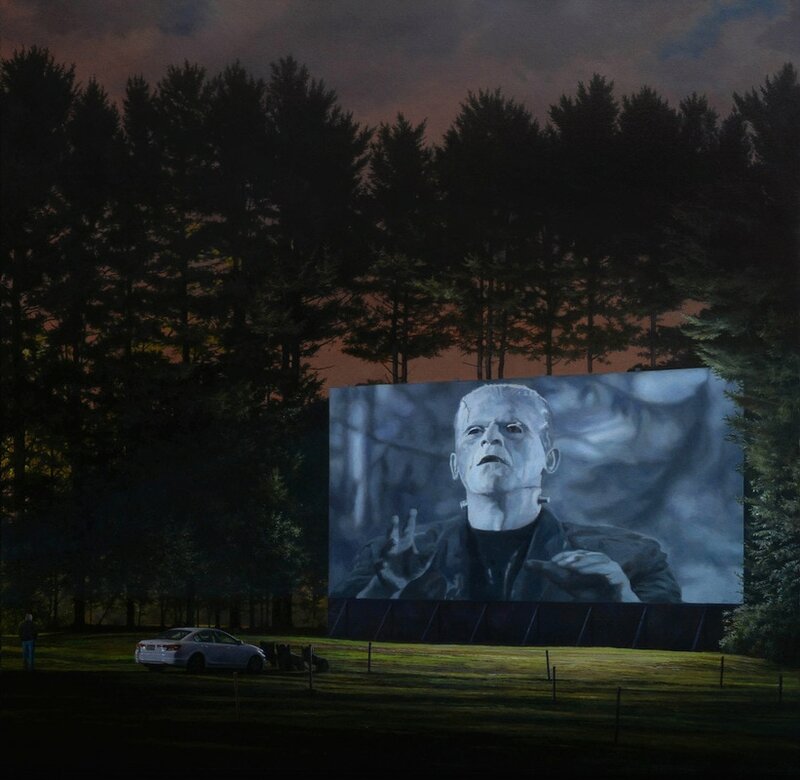 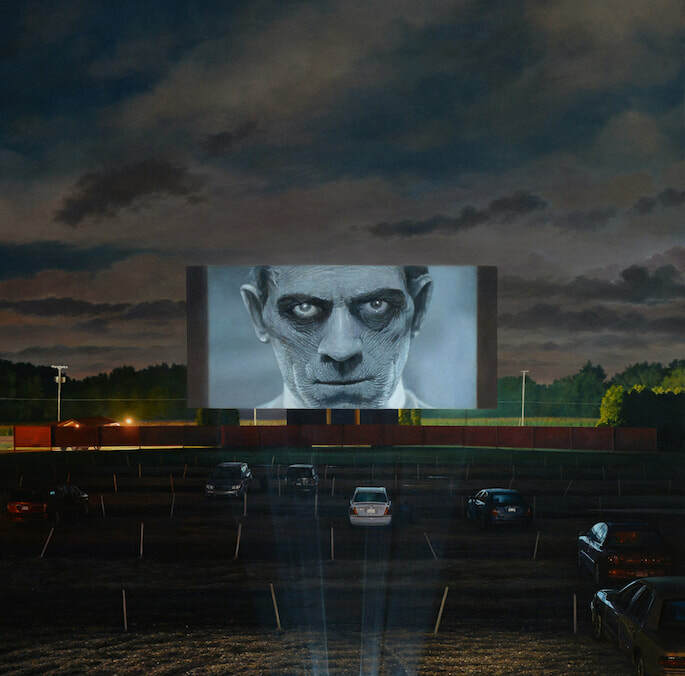 In particular, we were drawn to the Brooklyn-based artist’s The Drive-Ins series of works that depict various nostalgic scenes of outdoor theaters steeped with an air of mystery. 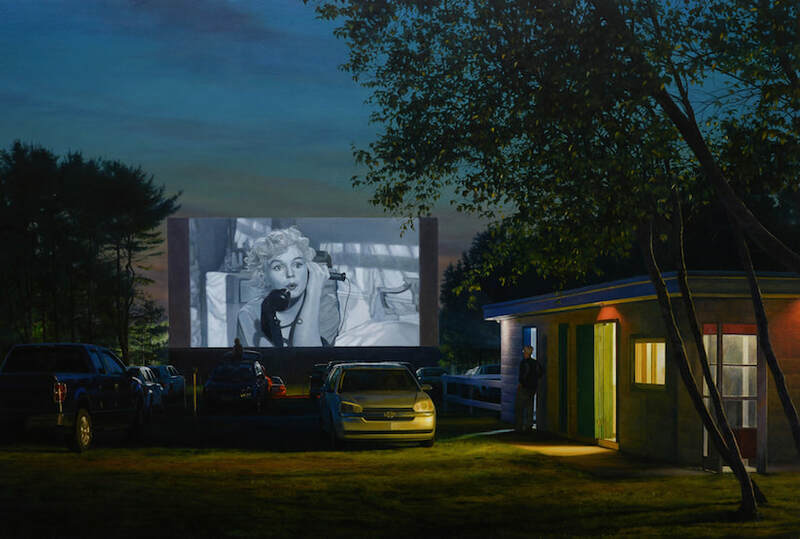 Interestingly enough, a good number of these pieces seem to have made it into the hands of producers, which makes sense due to the subject matter, including Larry Mark (producer of films like Jerry Maguire), Bill Prady, executive producer of The Big Bang Theory. and director/producer J.J. Abrams. 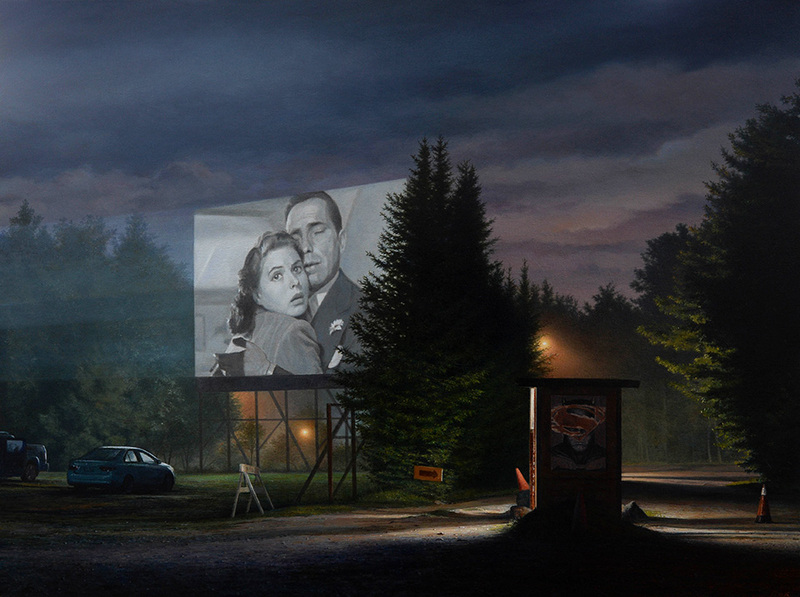 For those interested, Fox shows with Arcadia Contemporary, Galerie de Bellefeuille, Plus One, and Reynolds Gallery. 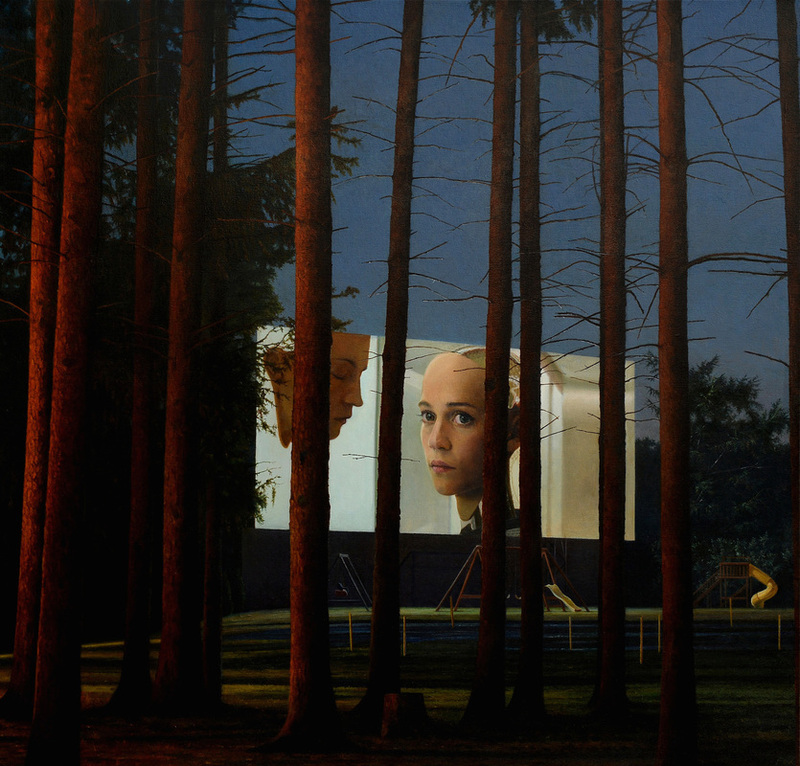 Categories: Art Focus, Contemporary Art, Features, Low Brow & Pop Surrealism. 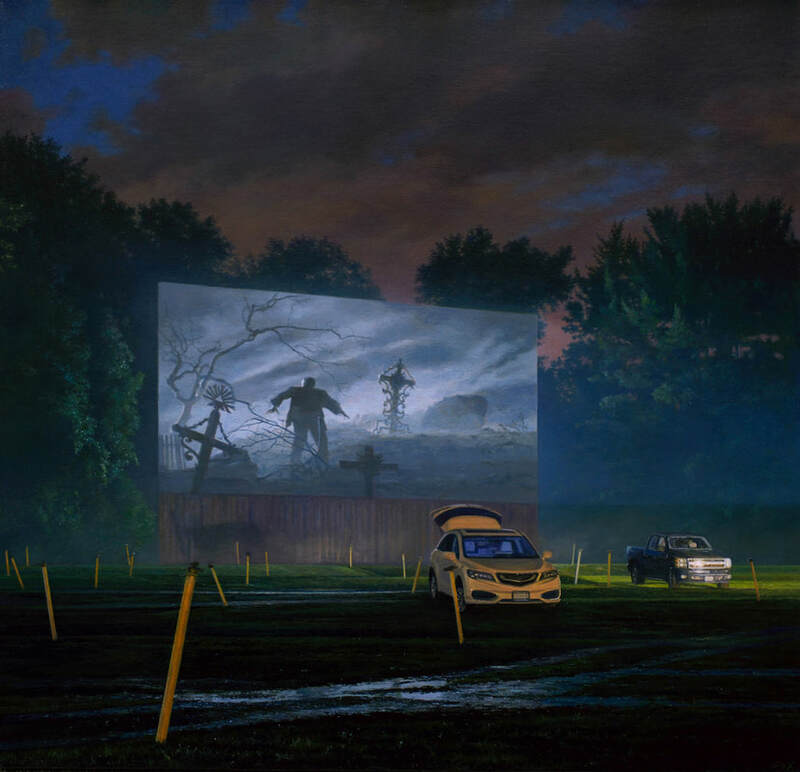 Tags: Art Focus, Contemporary Art, featured, Features, Low Brow & Pop Surrealism, slider-featured, Stephen Fox.